In a world plagued with numerous distresses, wanting to be a healer is a wonderful thing indeed. 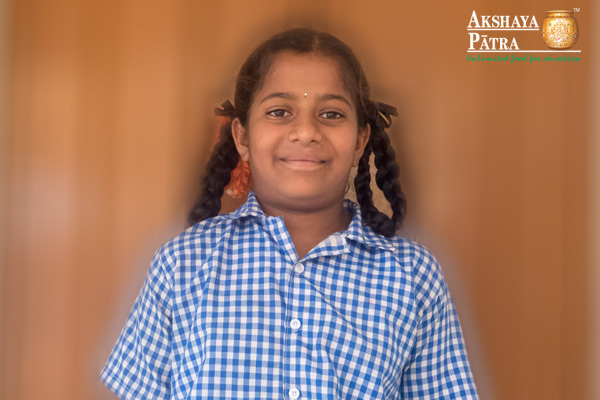 Among the many dreams of Akshaya Patra beneficiaries, there is that of Bhanupriya – to be a doctor and aid those afflicted with sickness. As the voices of children repeating Hindi rhymes after their teachers die down in Government Higher Primary School, Jyothipura, Bengaluru, and they head to have their meals, bright and lively Bhanupriya talks about her aspirations – “There are many people who are unwell. I wish to be a doctor and serve them. I would treat poor patients for free.” The young girl loves to wear the doctor’s coat and do a mock examination of patients with the stethoscope and listen to their heart’s beats.